I LOVE when the holidays come around because all the sales start up! Not only does Nordstrom have their Anniversary Sale in the summer (July 12 btw), but a lot of home stores have big sales too! And if you miss this week, you have Labor Day weekend coming up – somewhat scary?! Can’t believe we are already halfway done with 2018. 1. Cost Plus World Market – Hurry because this sale ends tomorrow! You can take an extra 10% off PLUS free shipping on purchases $65+. If you’re a “World Market Explorer” member, you get to save 15% – remind me to sign up ASAP! 2. 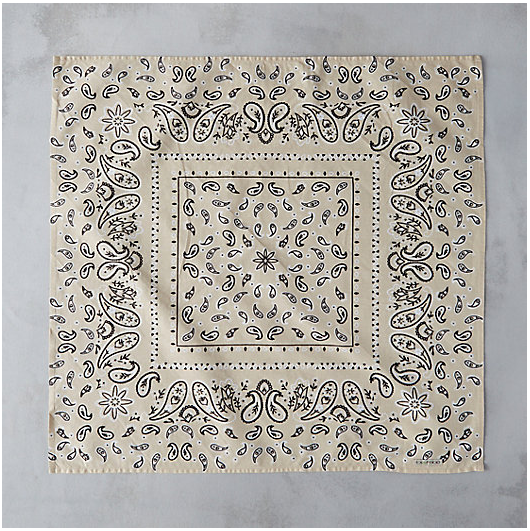 Gilt – I shop here for not only home decor, but also clothes, shoes, bags, towels … yeah you get the point LOL. The best thing about Gilt is that they always have sales going on! Make sure you bookmark this website! 3. 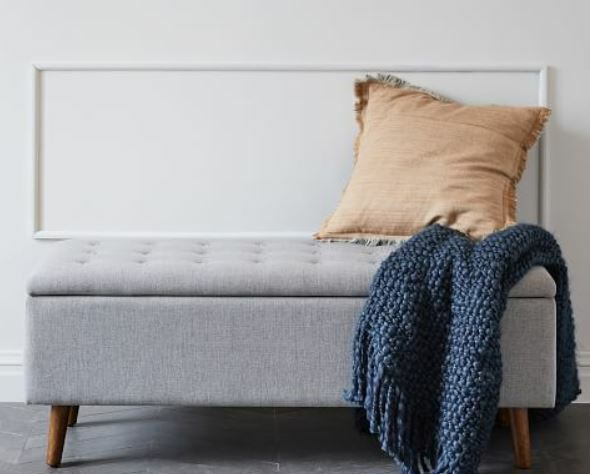 Hayneedle – Up to 50% off indoor and outdoor products! This sale runs through July 8. 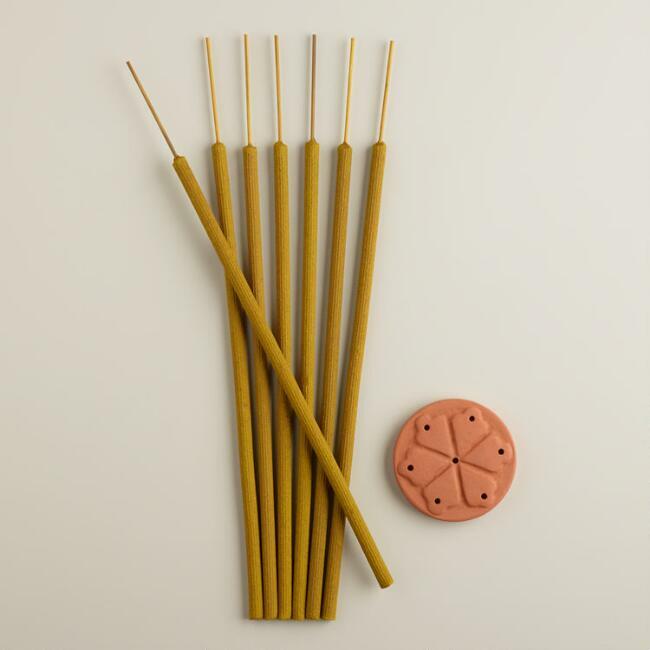 I like Hayneedle because I am given the option to shop by style of the room rather than by product. Sometimes I’m not sure whether I want to have my home look farmhouse/cottage-like or more modern/contemporary so this really helps! 4. Joss & Main – UP TO 80% OFF! This is another site that always has great prices so yes, bookmark this stat! 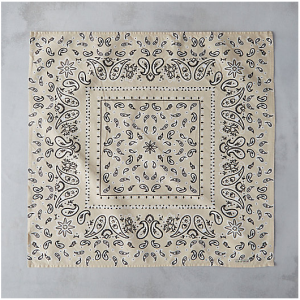 Fun fact – Joss & Main is a division of Wayfair so you’ll see some similar items on both websites! 5. 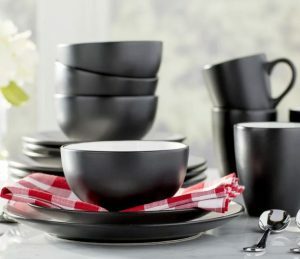 Target – Up to 30% off home items plus an extra 15% off indoor and outdoor furniture and rugs! Promo code is AMERICA. I’m sure everyone could find something to buy at Target! Sale ends July 4. 6. Wayfair – I cannot say enough good things about this place. There are so many products and at all price points. They also provide a bunch of reviews on things so you can get an idea of how they look in person. This week they are offering up to 50-75% OFF EVERYTHING! Sale ends July 5. Happy Tuesday and Happy Shopping! My absolute favorite color in the world is BLACK. 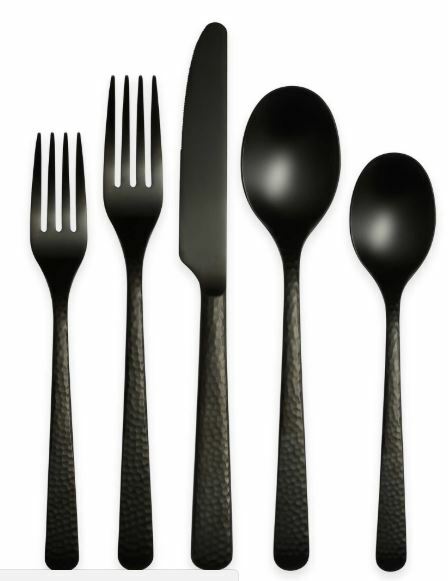 Yes, I love bright and happy colors too but black is classic, chic, and can go with anything. I not only like wearing black, but I also like to use it when it comes to the household. Now I know some of you are probably thinking “OMG what the heck?! 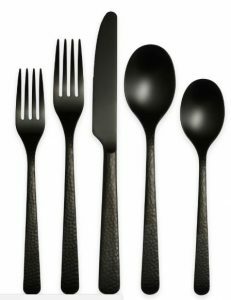 Black is so depressing and just too dark for my home.” Yes this can be true, but it is how you use the color and for what items. Matte black these days has become increasingly popular. With the matte finish, it tones it down while also keeping the drama of the color. Now I’m not saying you should paint your whole house black! 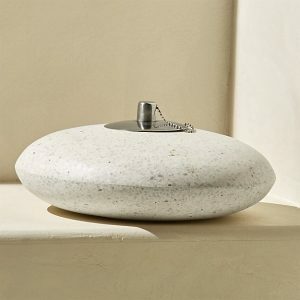 But there are ways you can introduce it into your home without going overboard. 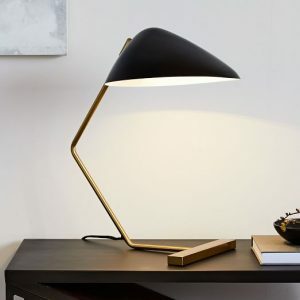 Here are some items that I think would look awesome in a home! 2. Dinnerware – I like this one especially because it is two-toned! 4. Wall Art – If you’re not ready to paint your whole wall black, try out a good ol’ black and white photo! 6. 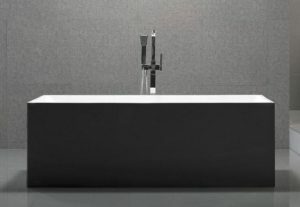 Freestanding Bathtub – This tub is SO chic! 7. Tumbler – This would go great with your new black bathtub! The kitchen is one of the most important rooms of the house, if not THE most important. This is the area where you put together your children’s lunches, cook the Thanksgiving turkey, or prep for your Saturday night dinner party with all your closest friends. With that being said, a kitchen needs all the bells and whistles! You could spend a couple thousand on a kitchen, or you could end up spending $50,000+! Below are a few tips to help improve the kitchen you already have without having to go through your entire savings account! 1. Color-coordinate the outlets – Using a white outlet distracts the eye from the beautiful backsplash you spent LOTS of money on! You can avoid this issue by coordinate the wall plate and/or outlet with the color of the backsplash. 2. Hide your outlets with the appliance – Do we really need to see the chord dangling across the counter to plug in your toaster? Just move the darn toaster! 3. Sideways outlets – If you decide not to color-coordinate the outlets, turn them sideways so they will be less noticeable. 4. Charging station – Everyone has to charge their smart phone and iPad! 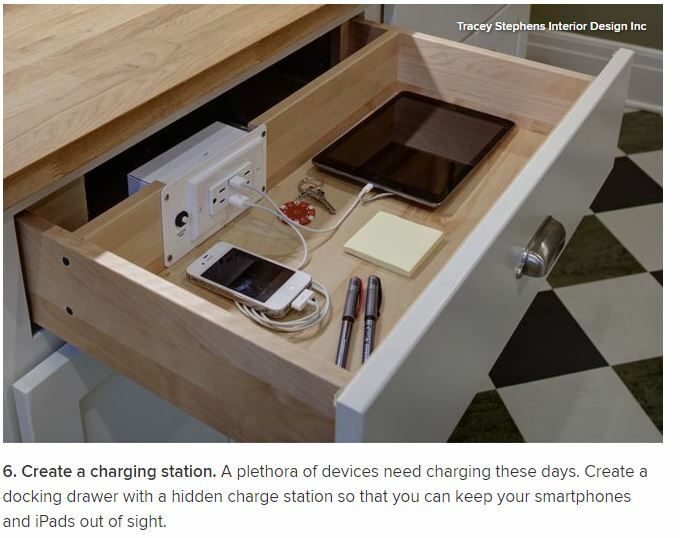 Create a drawer right underneath the countertop, and make sure it has multiple outlets to keep the smart devices out of sight. 1. Under-cabinet lighting – The main purpose of this is to show off your clean and stunning countertops! Make sure to install the light towards the front rather than towards the back. When it’s in the back, it shows off your backsplash – which isn’t a bad thing! But it then provides no light for your countertops – which is where you will be preparing your food! 2. Cabinet lighting – Typically you would install the light at the top of your cabinets but things have changed. 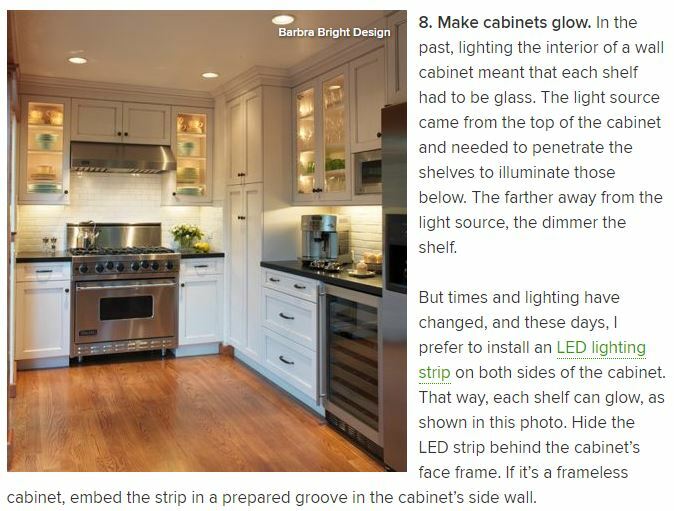 You can now install your cabinet lighting on both sides of the cabinet to give it that “glowing” effect. 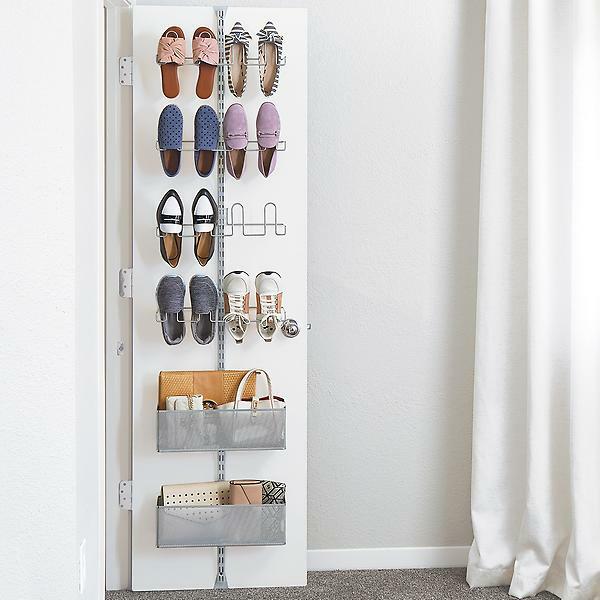 This is great if you are incredibly organized. If you tend to throw stuff in your cabinets, maybe stay away from this idea. 1. Maximize space on an island – A lot of people think it would be great to have the sink in the middle of the island. Depending how long your island is, it can make the area around the sink very limiting. 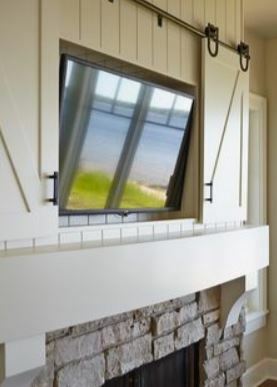 Try to put it at one end of the island to maximize your prep space. 2. Lid storage – I hate having to organize lids for pots and/or Tupperware. A good idea would be to create a divider in the drawer so you have your lids and your containers separated yet in the same place. Trendy Tuesday – Shoo fly, don’t bother me! It might not technically be ‘summer’, but it is upon us. 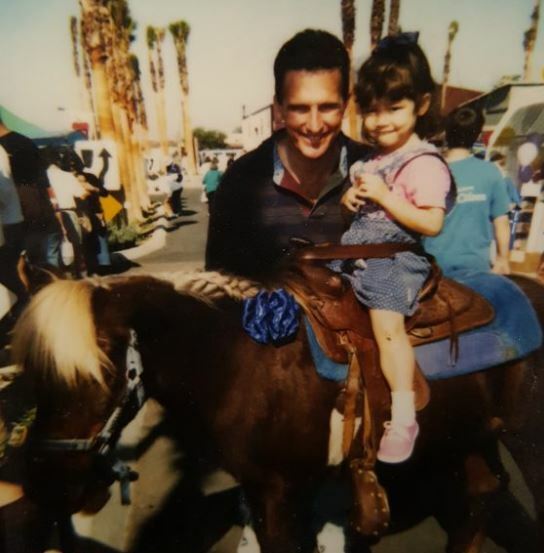 The San Diego County Fair will be opening this Friday and my birthday is almost a month away – feel free to send gifts! 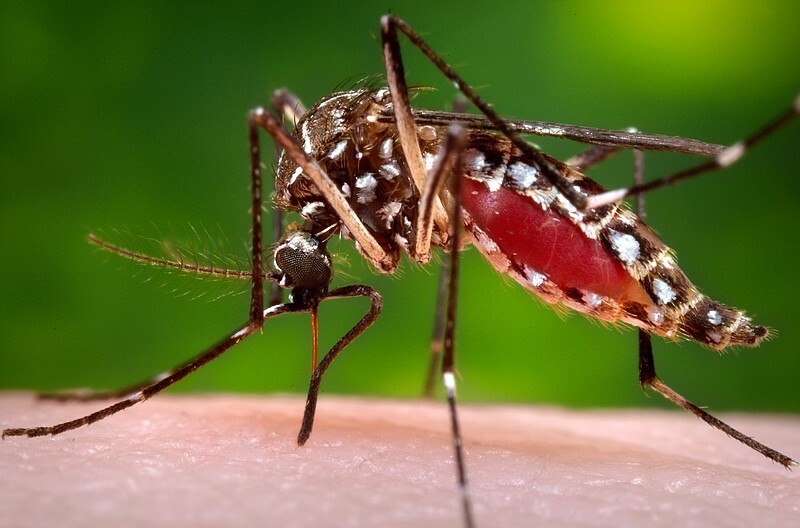 With the warmer weather starting to roll in, that also means it’s mosquito season. 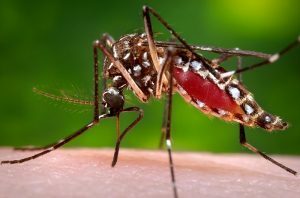 The number of diseases from mosquitos, ticks, and fleas has more than tripled in the US from 2004-2016. But the San Diego County health officials are on top of it this year! They are even offering free home inspections so they can see if you have any mosquito breeding areas. There are other ways to keep the bugs away! 1. Citronella Incense Sticks – I am ALL about saving money. For only $1.50, you can stick these bad boys into your garden OR put them in their terra-cotta holder and BAM! You have yourself a centerpiece! 3. Citronella Hanging Coil – This is an awesome art installation for your home! It is a coil that you light at one end. Then as it burns, a stream of citronella-infused smoke comes out keeping the skeeters away! You name it, and there’s an app for it! 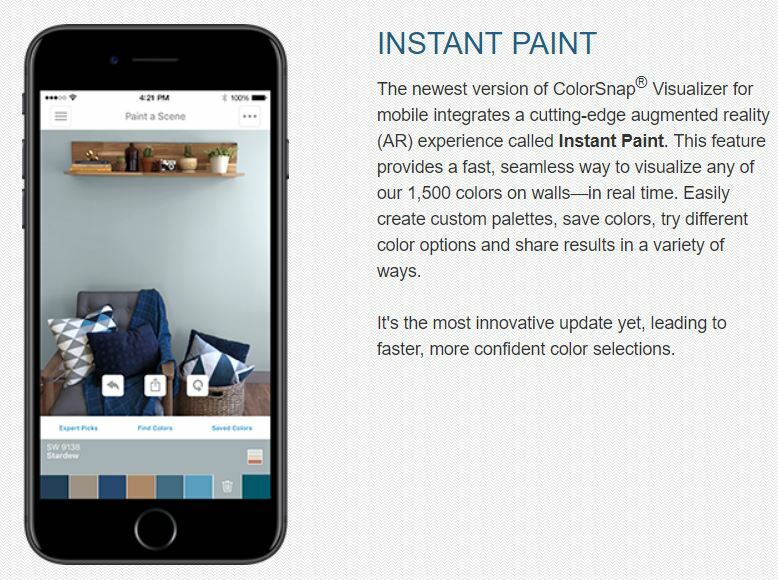 Sherwin-Williams has a mobile app for paint colors. Either it will help you visualize how your home will look with their paint colors, or you can select a color from an image and it will match it to their corresponding color! The weather is starting to heat up, which only means one thing… SUMMER is right around the corner! What? Didn’t 2018 just start? Yeah I have no idea where the last 4 months went either but summer vacation (ugh I miss those days) is here! Now for San Diego, it’s pretty much 70 degrees year round. But we did have some rainy days this year so I think I can speak for all of San Diego, we are excited for longer days with maximum sunshine! Nothing is better than kicking off summer than with a backyard party! There are so many unique designs to use for your backyard these days so I created a Pinterest board with some of my favorites! Check them out below! 1. Beer coolers – there are so many good craft breweries in San Diego so we got to make sure that beer stays cool! 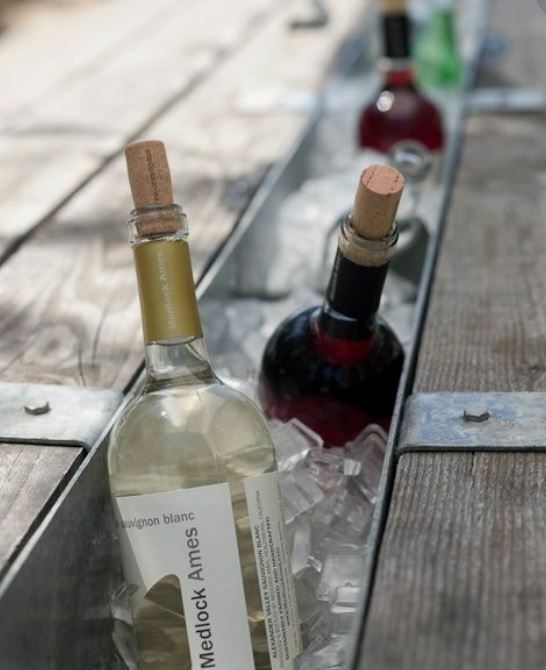 I love the idea of removing a plank out of the picnic table and inserting a cooler instead. Some people like to have a cooler on top of their BBQ so it’s within arm’s length for the cook. 2. Wine racks – calling all wine connoisseurs! 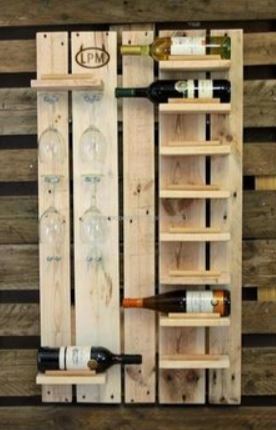 You can do a DIY wine rack out of pallets and attach it to your fence or deck area! 3. Market lights – this is super trendy right now. Market lights definitely create an intimate setting. You only need a few strands too! Don’t go overboard and make it feel like it’s daylight. 4. TVs – this is super popular as well when it comes to outdoor entertaining. I like to make sure it has a proper cover though to keep it shielded from the natural elements. There’s some that you can buy but I’ve also seen people hide it behind small barn doors. And if this is all too much, I’ve seen people buy a roll down screen with a projector! 5. Fire pits – also another crowd favorite. People like to have them built into the ground but now you can buy them at the stores for a decent price! 6. Swim up bars – OK so this one might be a pretty expensive thing to do but come on they are so cool! I’ve only seen them at super fancy homes/resorts but if I could have a pool, I would totally have a swim up bar! However with small kids, it might get a little messy – I don’t think I want to be picking up soggy chicken nuggets LOL. Hello to all our eco-friendly homeowners! Now, I am NO expert. But I have read many articles and have come to the conclusion that this is where our world is heading. People have created eco-friendly cars, the next thing are homes! Check out below to see some of my favorite ideas! 1. 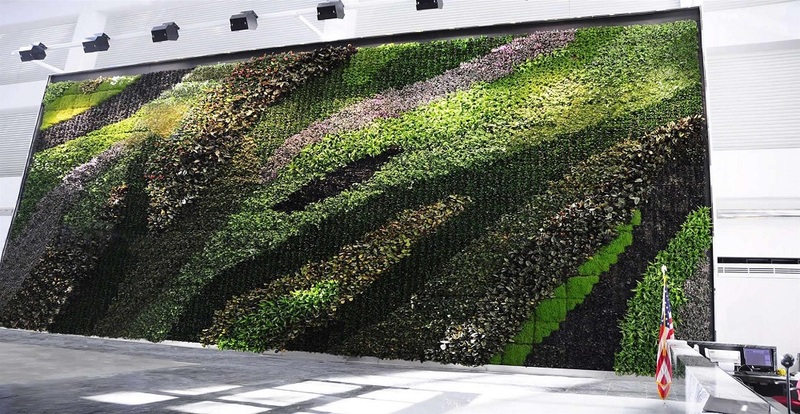 Living Walls – a lot of homeowners are choosing living walls or green wall systems because it purifies the air, humidifies the air, AND reduces volatile organic compounds (VOCs). Studies also show that it promotes a happier and healthier family plus improves mental and physical health. 2. Natural Lighting – this is a major selling point for any buyer. The more natural light, the better! You can either invest in large energy-efficient windows (so the warmth doesn’t escape) or you can invest in a skylight to maximize that natural sunlight! 3. Mix and Match Materials – combining old and new materials is not only eco-friendly, but it gives your home some character! A lot of homeowners are now using reclaimed and re-purposed wood, which then keeps landfills empty PLUS has your home differentiate from all your neighbors! 4. Energy Efficient Appliances – there are energy-efficient options for practically every appliance out there! It will reduce your energy consumption, which then reduces your energy bill. People are willing to pay a bit more upfront to save themselves some money in the long run. 5. Gray water – this is the relatively clean waste water that comes from showers, sinks, washing machines, and other kitchen appliances. A major trend right now is to figure out a way to reuse your gray water. This water may have some traces of dirt but it is safe enough to use for outdoor irrigation! Builders can now install pipes that channel this water outside so you can use it! 6. Solar Energy – this trend has been around but it keeps growing. Investing in solar is definitely NOT cheap, but the financial and environmental benefits can be huge in the long run. There is so much we can do for this beautiful planet – let’s keep it going! UGH. The garage is the classic place to put random stuff that you can’t find a designated spot for – at least for me and my family. LOL. A lot of people use their garage more as a free storage unit instead of a place to park your cars. With that being said, it’s probably time to clean up that storage unit attached to your home! There are many different ideas on how to organize a garage but here are some of my favorites! 3. Shelving, Drawers, and Hooks – About 80% of your items can be stored on shelves. The other 20% can be stored on hooks such as lawn equipment. You will most likely need a combination of shelves, drawers, and hooks. Here are some items you can buy to be more organized! 4. Hidden storage areas – If you’re working with limited space, think vertically! There is such a wide variety of door/wall racks you can buy these days. These are great too if you have a “no shoes allowed in the house” policy. 5. Bins for Small Parts – There are always random screws and nails rolling around on shelves and floors. Get smaller bins for those smaller parts! If you really want to be OCD, you’ll label those bins too! 6. Sports Equipment – This just needs a separate area to itself because there is always so much equipment! A steel basket is perfect for all your basketballs! 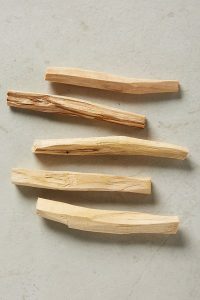 This is a great piece for storing all sorts of equipment like hockey sticks and baseball bats! 7. New Cabinets – Want the max package, and add all-new cabinetry? I am the QUEEN of buying tons of groceries/bringing home all my leftovers and just throwing them in the fridge … and then eventually throwing them out – ask any of my roommates! Did you know that 40% of the food in the US goes uneaten? Which means that Americans are throwing out the equivalent of $165 BILLION each year! Yeah, I’m not helping the cause but HEY it’s time to change! Some of you might already know these, but here are some tips I have learned about organizing your refrigerator! 1. 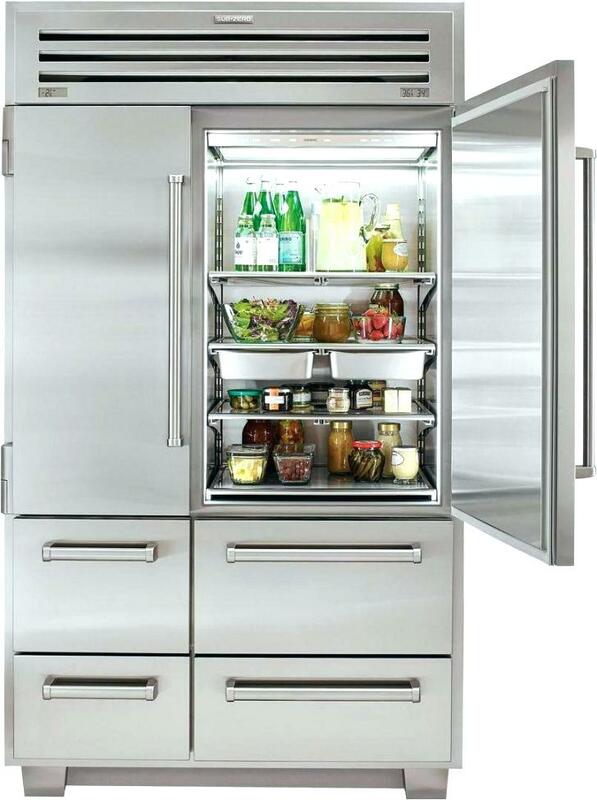 Set your refrigerator to 40 degrees or lower – bacteria grows rapidly between 40-140 degrees. 2. 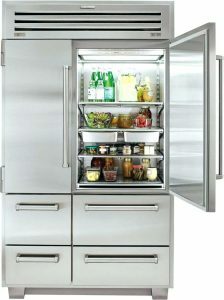 Refrigerator door is the warmest – try to only store condiments in this area. Anything dairy (especially milk) or eggs will go bad quickly – the temperature fluctuates too much in the door. 3. Upper shelves are the slightly-warmer section – store foods that don’t have a health safety risk aka leftovers, drinks, ready-to-eat foods. Getting clear containers for leftovers is also helpful because it will help you see what the heck are in those white take out boxes! 4. Bottom shelves = coldest section – store meats, poultry, or any other raw meats. This also prevents drips from contaminating food below. If you take it out of the meat packaging, put it in a bowl. 5. Mason jars for salads – mason jars are the longest-lasting way to keeps salads. Dressing on the bottom, veggies and other salads goodies get piled on top. If you have a lid for your jar, they can last up to 5-7 days! 6. Containers – if you haven’t figured it out by now, I LOVE the Container Store! 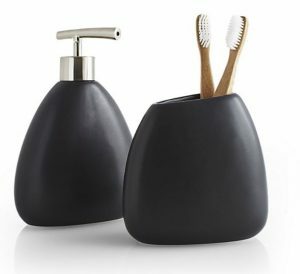 Here are some great containers to use for wine bottles, soda cans, eggs, etc! 7. Produce keepers – this will help you keep your produce fresh. Waste less and save more! This is pretty much the same thing – if you want to keep produce in your drawer rather than a separate container, buy this insert! 8. Allow enough space between foods – air needs to circulate around food to keep it cool. A crowded fridge can create warm spots and cool spaces, which can lead to spoilage. This week we are going to tackle the closet and dresser. Now everyone is going to have something different in size so you decide what is the best option for you! In my opinion, I think it gives everyone a piece of mind knowing that your closet and drawers are in order and you can see everything clearly – rather than trying to get dressed for work and can’t find that matching sock or that favorite blouse to wear for your big presentation. First thing’s first, go through all your clothes and get rid of stuff you will not wear. Here’s a great question to ask yourself while doing this – “If I was out shopping right now, would I buy this?” I did this and half my closet was gone LOL. 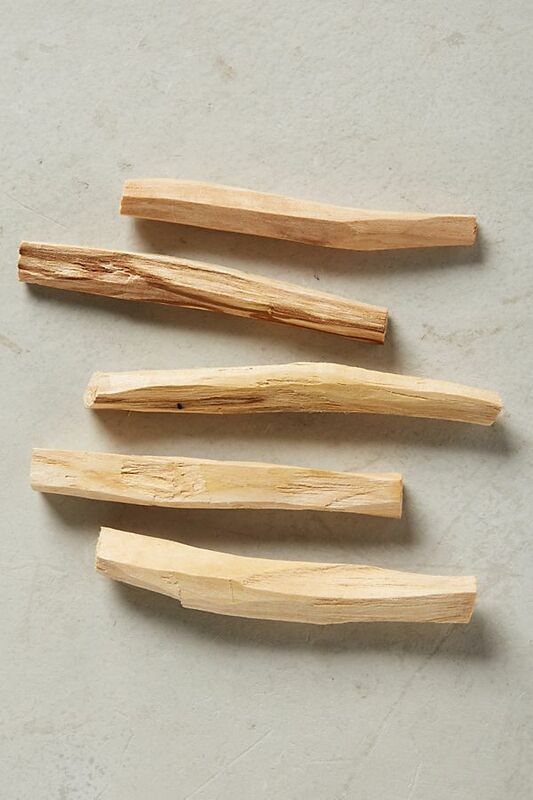 Here are some tricks you can try at home to give you that piece of mind you’ve been wanting! 1. Drawers – Group Items by Category – This is kind of an obvious one. Sort each drawer by their type – undergarments drawer, top drawer, etc. It’s even better when you split your categories more than once. With the tops drawer, you can split it into tanks, short sleeves, and long sleeves! 2. Closet – Store all your seasonal clothes – Why would keep all your winter coats/sweaters in your closet in the middle of summer? Storing away your colder climate clothes is key! There are many way you could do this. 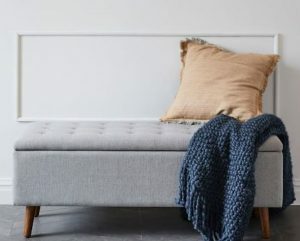 I’ve seen people buy those storage benches and then place them at the end of the bed. If you don’t have much square footage to work with, then you can buy containers that go under your bed – I did this in college! 3. Drawers – Roll > Fold – I just did this with my sock drawer (that was originally jam packed and overflowing) and it worked WONDERS – now my drawer is only half full! I do this with cotton shirts and sweats too. It will really make a difference, especially if you’re one to have a hard time letting go of things! Drawer organizer work great too! 4. Closet – Adding Another Bar – You can easily double up your closet space by adding a second bar! If you don’t want anything permanent, these expander bars have become really popular and I can see why! Longer items on the top, shorter items on the bottom. **Special Tip** for Drawers + Closets – Add Lavender – By adding a small cotton or linen bag of dried lavender, you will keep the moths away and continue to have beautiful clothing! Not only is lavender a repellant, but it’s also antibacterial and anti-fungal.